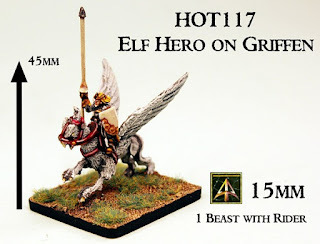 We love to put the fun and surprises into tabletop wargaming and we have customers all over the world and we know that with our huge choice of miniatures there are always more wargamers who would like to try us out. 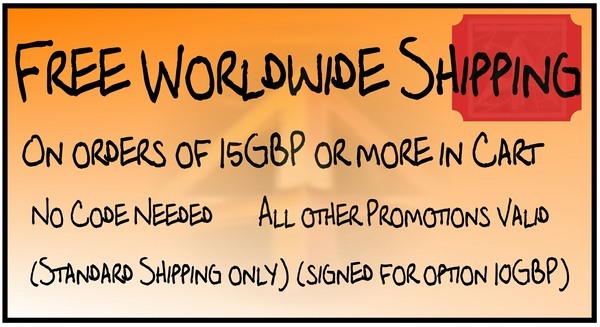 Alternative Armies is pleased to announce free worldwide shipping on all orders of 15GBP in the cart. This will end at 9am GMT Wednesday 1st August 2018. You need do nothing but add to cart and all our other offers and promotions are still valid. Go HERE or read on for full details. We offer two different types of worldwide shipping. Standard and Tracked. 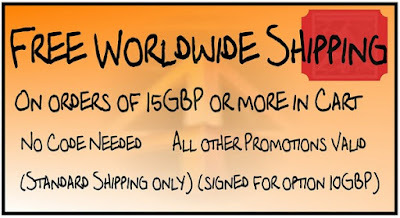 We are offering free worldwide shipping on standard (royal mail or air mail) rate on orders of 15GBP in cart of greater with no limit upon number of orders. If your order will received tracked shipping due to its value we will cover the cost of this and inform you. 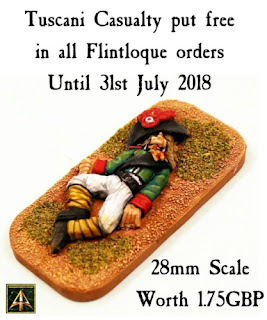 This offer applies to all miniatures and books and accessories on our website and all of our other offers (weekly deals, bundles, divisional army packs) which feature a discount are included too. Digital Downloads are not physical items so they do not qualify for postage but in mixed orders with physical products they will count towards the total. If you would like to take items from Alternative Armies and The Ion Age then you can do so by sending us an email with your name, address, paypal email and a list of codes and quantities to us on info@theionage.com and we will come back to you with an invoice to pay. It may take us time to reply to you but as long as your proposed order arrives with us before the end of the period we will honour it. Go to our website and add what you want to the cart. This offer ends at 9am GMT (UK Time) Wednesday 1st August 2018. Go HERE for the website and look around. There is a mighty choice of wargaming codes to choose from on our website. In 28mm, 15mm and 6mm scale. Covering Fantasy, Science Fiction and Historical ranges as well as books and accessories. Go to our home page and use the drop down menus to select what interests you. We also have a page on our blog which lists all of the ranges on the website with direct links which you can use if you prefer; click HERE. During this promotion we have an additional free item which will be put into every order placed. 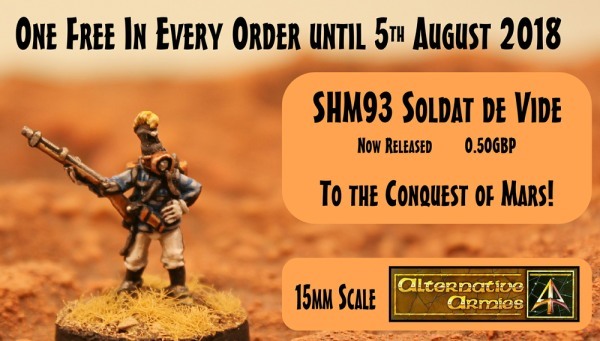 SHM93 Soldat de Vide a 15mm scale steam punk soldier miniature which is brand new. 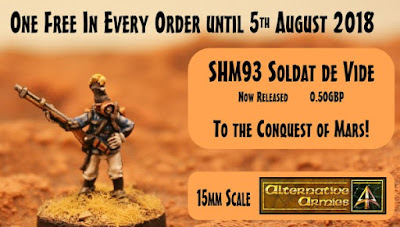 Alternative Armies will put this free (worth 0.50GBP) into your order and if you wish to learn more then see it on our website HERE. The brand new Tuscani Wild Elf codes are now released and we are putting a free Tuscani Casualty miniature (worth 1.75GBP) into every order that contains one or more Flintloque / Slaughteroo / Valon item. You can read all about this and see the new releases plus download a free article for use in the game on our blog HERE. Lastly it is well worth browsing our blog for recent releases and free items and scenarios if you have not been keeping up with us. Go HERE and scroll!